A smaller percentage of Australians are donating now than in 1983, with just two states now accounting for the overwhelming majority of gifts. A smaller percentage of Australians are donating now than in 1983, with just two states now accounting for the overwhelming majority of gifts. Andrew Sadauskas reports. The percentage of Australian taxpayers claiming a tax deductible charitable donation is in decline, falling from over 40% of the population in 1983 to less than 35% in 2015, according to a research report from JBWere Philanthropic Services. 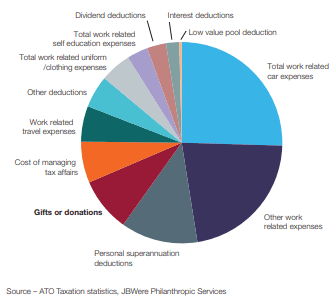 The JBWere Support Report shows that charitable donation represent just 8.7% of all deductions claimed against income in 2015, with Australians claiming significantly more for work, car and personal superannuation expenses. Tax deductions claimed against income 2015. Taxpayers in Victoria and New South Wales lead the nation in generosity, with the two states accounting for just over two-thirds (67%) of total donations in Australia, despite only having 56% of the total tax payers. 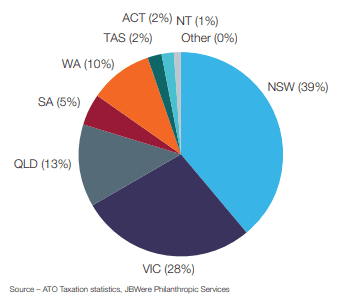 Around 37% of taxpayers in Victoria and just over 34% in NSW claim a claim a charitable donation, with the figure languishing at between 30% and 32% in each of the other states. Likewise, the average donation claimed in NSW is around $850, compared to just $450 in the least generous state, Queensland. Total tax deductions for donations by state 2016. JBWere executive director and head of philanthropic services Shamal Dass said the findings present a dilemma for not-for-profits, charities, and foundations in Australia. “Deciding whether to focus resources on targeting the increasingly generous, existing donor pool and risk donor fatigue – or aiming to find a message which resonates with the remainder of the population,” Dass said. Proportion of taxpayers claiming by income 1996-2016. Worryingly, the percentage of Australians earning more than $1 million in taxable income annually has declined from over 65% in 2002 to 57% in 2016. This is significantly less than the US, where around 90% of high income earners donate to charity. 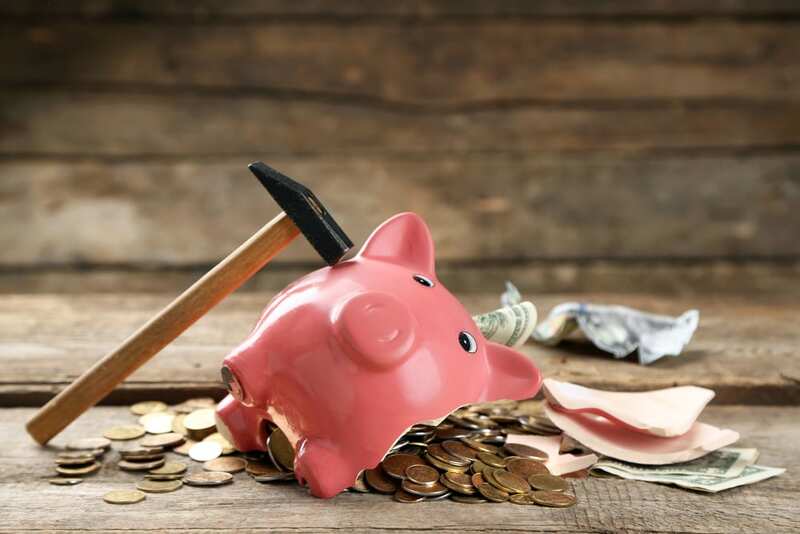 According to the report, while some people choose to start giving as their income increases, a growing proportion don’t, and that is dragging down participation rates in each income bracket. “The growth in scale and visibility of HNWIs’ philanthropy has been dramatic in the last decade. While the amount donated grows impressively as income rises, the proportion of HNWIs donating in Australia significantly lags the United States,” Dass said. The full report is available on the JBWere Philanthropic Services website.